During a highly publicized round-the-world flight many believe that aviator Amelia Earhart was captured by the Japanese, possibly as a spy commissioned by President Roosevelt after crashing on Saipan Island, and soon after was executed. While others believe her plane might have ran out of gas and crashed somewhere in the South Pacific, which is the most widely accepted explanation for the disappearance. Yet there was also some that believed she may have lived out the rest of her life in a small town in New Jersey under the name Irene Bolam, whose name “appeared to be a code which spelled out in degrees and minutes of latitude and longitude the precise location of a tropical beach where Amelia Earhart and Fred Noonan crashed after being shot down.” The belief that Mrs. Bolam was Amelia Earhart isn’t as far fetched as one would believe, in fact a book was written on the subject by a respected Earhart researcher. 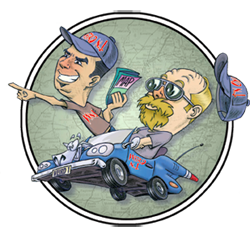 A book that was pulled from the market after Bolam ridiculed it as a “poorly documented hoax,” and filed a $1.5 million dollar lawsuit against publisher McGraw-Hill, submitting a lengthy affidavit refuting the claim. 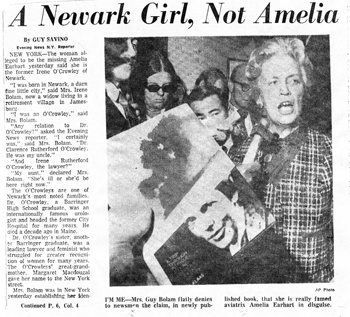 Although she loudly professed that she was NOT the famous aviator, still it was said that this mysterious woman from New Jersey had enough huge “gaps and holes” in her biography for some to believe she very well could have been Amelia Earhart. 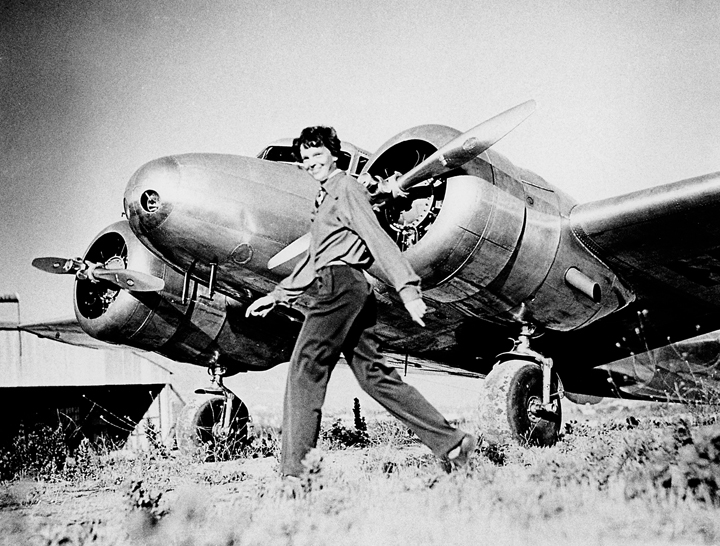 In 1937 Amelia Earhart attempted to become the first female pilot to fly around the world. Flying a Lockheed Model 10E Electra, she followed a route that was close to the Equator. Along with her navigator Fred Noonan she began her trip on May 21, 1937, from Oakland, California. Flying east she attempted to stay over land as much as possible, touching down in New Orleans and Miami. From Miami she continued to the Caribbean and onto San Juan and then to Natal, Brazil, which gave her the shortest flight over the Atlantic Ocean. Soon they touched down in Senegal, West Africa and flew east across Africa to Karachi, India. From Calcutta they continued to Rangoon, Bangkok and then to Bandung in the East Indies. After making some repairs on the instruments and spending a few days due to monsoon weather and illness they continued onward to Darwin, Australia and then to Lae, New Guinea. From Lae they headed off for Howland Island, which was 2200 miles away in the Pacific Ocean. The two never arrived. Some stories point to Amelia Earhart having survived through the years and that Irene Bolam could actually have been her, but closer investigation prove that it was all most probably untrue. Some see the two as looking very much alike but photo to photo comparisons showed they looked no more alike than any other two woman of northern European descent. Gervais went as far as seeking permission to fingerprint and photograph Mrs. Bolam upon her death to prove his beliefs, but was denied the opportunity. More recently National Geographic had hired a criminal forensic expert named Kevin Ricklin to study photographs of the two and had come to the conclusion that Earhart and Bolam were not the same person. In 1981, it was said that a prominent Roman Catholic clergyman named Monsignor James Francis Kelley was telling acquaintances of having had an instrumental role in Earhart’s repatriation from Japan and helping create a new identity as Irene Bolam. In 1987 a book of Monsignor Kelley’s memoirs was published containing what’s said to be fictitious stories about his encounters with famous personalities, but it made no mention of Amelia Earhart. It was also said that in his later years the Monsignor suffered from dementia. 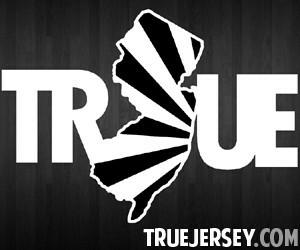 Was there any truth to the Monsignor’s story or was it all just some tall tales from a mad priest? 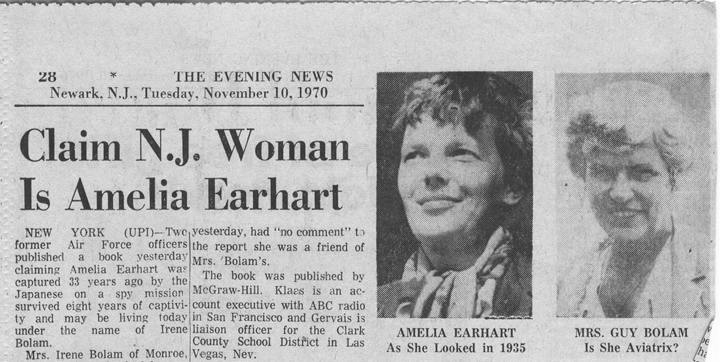 Was Amelia Earhart trying to live out her life in privacy in New Jersey under the name Irene Bolam, or was it all just some poorly documented hoax concocted by a researcher trying to keep the legend alive? 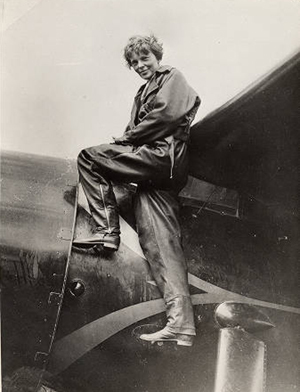 Some theorists believe that Earhart could have changed her identity to avoid the publicity, which would have occurred after her Japanese imprisonment, choosing instead to live out her life quietly in New Jersey. Although there was much eyewitness and hearsay evidence indicating that Amelia Earhart may have been around after her disappearance in 1937, there’s never been any solid evidence to support claims that Earhart had survived her trip around the world. Her disappearance remains one of the great unsolved aviation mysteries. 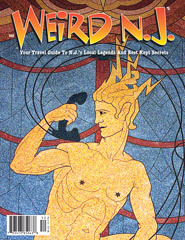 The preceding story is featured in #42 of Weird NJ magazine, which can be found on newsstands throughout the state and on the web at www.WeirdNJ.com. This entry was posted in Mystery History and tagged Amelia Earhart, aviator, Irene Bolam, lost pilot, missing, Monroe, Newark. Bookmark the permalink.